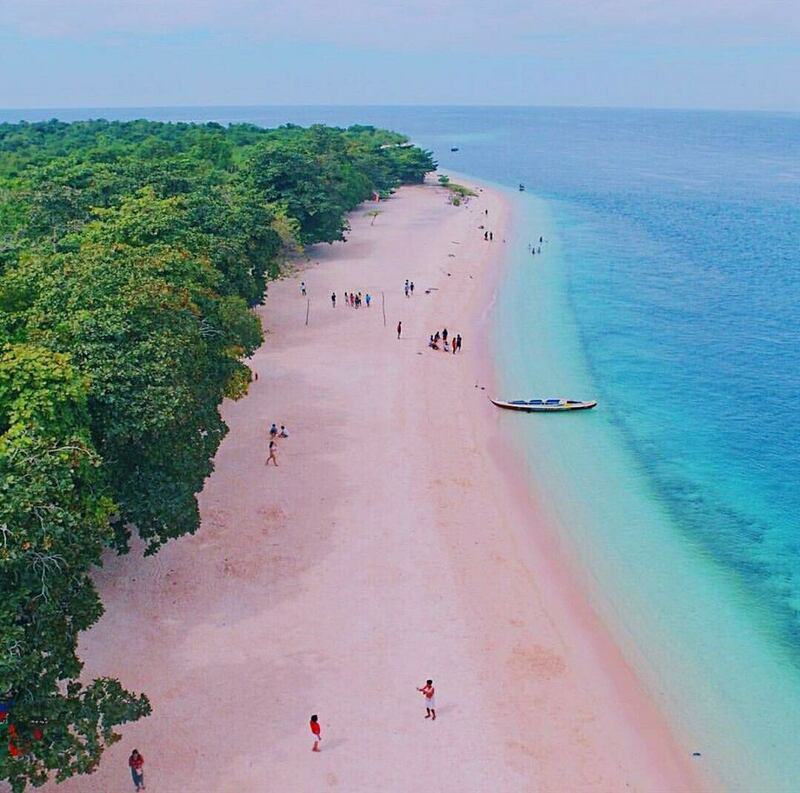 The beautiful Sta Cruz Island in Zamboanga, Philippines has been named as one of the best beaches in the world from a popular international magazine, National Geographic. The island is also called Pink Beach because it is covered in stunning pink sand that results from pulverized red organ pipe coral washed up from offshore mixes with white sand. Aside from the pink sand, the Pink Beach is stunning because of the blue and green shades of the sea. The local government of Zamboanga limits the number of visitors that will explore the beach. Visitors are only allowed to stay here from morning until afternoon. Staying overnight is not allowed. This powdery white beach is not yet established and commercialized. If you want to visit the place, you need to coordinate with the officers from the Department of Tourism in Zamboanga City to get a tourist permit. Meanwhile, there’s another Pink Beach in San Vincente, Northern Samar where you can relax and enjoy, the Sila Island. Just like Sta Cruz Island, the beach has also mix of white sand and crushed red coral from the sea floor, making the beach looks pink.